2019 is shaping up to be a busy year! 4/19-21/19 – Matt will be serving as a volunteer judge at a collegiate flying competition for the military academies to be held at the Stewart International Airport. Teams from the United States Military Academy at West Point and the Naval Academy in Annapolis, Maryland will be participating. 10/24-28/19 – Matt will again be serving as the Chief Judge of the NIFA Region VII SAFECON to be hosted by Bridgewater State University, held at the New Bedford Regional Airport. 3/30-31/19 – Tavares, FL – Matt returned to Tavares, Florida, “America’s Seaplane City” and filled his familiar role as the “Voice of Tavares”. As the emcee for SEAPLANE-A-PALOOZA Matt provided commentary throughout the weekend. The annual seaplane fly-in provided an incredible weekend, full of seaplane fun with more than 75 seaplanes attending. 3/23/19 – Hyannis, MA – As a part of the 4th annual Massachusetts Air & Space Museum General Aviation Forum held at the Barnstable Municipal Airport Matt spoke on behalf of the new upstart EAA Chapter 51. 3/12/19 – Hyannis, MA – Matt was elected founding Vice President of the newly reorganized Cape Cod EAA Chapter 51 based at the Barnstable Municipal Airport. 10/25-29/18 – Schenectady, NY – Matt returned to NIFA Region VII for the 2018 SAFECON and was deeply honored to again serve as the Region VII SAFECON Chief Judge. 4/7-8/18 – Tavares, FL – Even with significant weather impacts causing a variety of event cancellations, the seaplane turn out was excellent and Matt reprised his role as the voice of SEAPLANE-A-PALOOZA! 1/5/18 – West Point, NY – Today Tanya Estes joined the ReviewBeforeFlight team as a contributing writer. Tanya, an instructor at the United States Military Academy (West Point), former Apache helicopter instructor pilot and CFII will begin writing on RBF soon! 12/2/17 – Tavares, FL – Matt was honored again to be the “Voice of Tavares,” serving as the emcee for the annual Christmas Parade on Main Street! 7/4/17 – Tavares, FL – Matt again filled the role of “Voice of Tavares” serving as the emcee for the 4th of July parade on Main Street! 5/17/17 – Oshkosh, WI – Check out this excellent video by the Experimental Aircraft Association (EAA) on the SEAPLANE-A-PALOOZA event and learn more about the event and America’s Seaplane City from our own Matt Elia. 4/1-2/17 – Tavares, FL – It was a great way to celebrate turning 30, serving as the voice of the 2017 SEAPLANE-A-PALOOZA event! The crowd of seaplanes exceeded expectations as more than 50 seaplanes stopped in on their way to Sun ‘n Fun! 3/3/17 – Mount Dora, FL – I’m excited to say that I’ve added a copilot for life! 1/2/17 – Mount Dora, FL – We’re excited to share out new look logo! Learn more about the new logo HERE, it’s worth the read. 12/3/16 – Tavares, FL – Matt again filled his now familiar role as the “Voice of Tavares”, serving as the emcee for the 2016 Christmas celebration parade! 10/29/16 – Tavares, FL – Matt provided the “Voice of Tavares” commentary as the emcee for the 2016 Monster Splash Seaplane Fly-In at the Tavares Seaplane Base. 10/28/16 – Tavares, FL – Matt could be found under the wing of a Cessna 206 amphibious seaplane (what was called: “Seaplane on Main”) as part of the Tavares Boo Fest, the annual community-wide Halloween event. Where else do you find a seaplane on Main Street? Only in America’s Seaplane City! 7/4/16 – Tavares, FL – Matt again took up the role of voice of the City of Tavares, this time serving as the emcee for the 4th of July-Independence Day, “Let Freedom Ring” parade on Main Street. 5/11/16 – Tavares, FL – Matt joined host Tom W. of Royal Harbor for an episode of the community’s cable access show “People You Should Know”. Matt discussed the happenings at the Tavares Seaplane Base, the economic impact of the facility and the advantages for pilots who visit the Tavares Seaplane Base as opposed to other airport facilities. 5/1/16 – Tavares, FL – Matt spoke at the first-ever FAASTeam (FAA Safety Team) WINGS pilot proficiency safety seminar hosted in the City of Tavares. Matt welcomed the group to Tavares, alongside speakers Rich and Jason who discussed checklist usage for seaplane pilots and conducted an analysis of the JFK Jr. accident and the take away lessons for pilots. Following the seminar Matt served as the emcee for the Tavares Spring Seaplane Fly-In contests on Lake Dora! 1/18/16 – Ocala, FL – Matt spoke to the Ocala Boat Club about the facilities available, changes coming and upcoming happenings at the Tavares Seaplane Base & Marina at their January 18th club meeting. 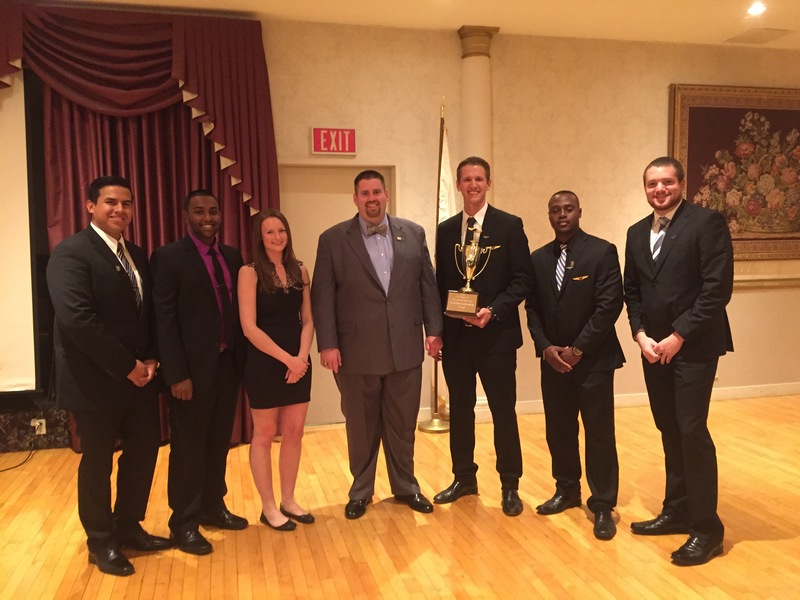 10/26/15 – New Bedford, MA – Matt presented the 2015 ReviewBeforeFlight.com Cup to the Dowling College flight team, who best demonstrated the quality of “Sportsmanship” during the 2015 NIFA Region VII SAFECON. Matt (middle) posing for a picture with the Dowling College flight team after presenting the ReviewBeforeFlight.com Cup to team captain, Cliff Daly. 10/23-26/15 – New Bedford, MA – Matt served as the Chief Judge for the 2015 National Intercollegiate Flying Association (NIFA) Region VII SAFECON. The event was held at the New Bedford Regional Airport. The Region VII SAFECON had 8 participating schools, making it the largest regional SAFECON in the country this year! 9/28-29/15 – Brewster, MA – Matt spoke at the 2015 Massachusetts Airport Management Association (MAMA) conference along with Erick D’Leon about the digital NOTAM (Notice to Airmen) manager product from the FAA. The presentation covered how to use the digital NOTAM manager, how to get the manager set up for an airport and the additional benefits of utilizing the digital NOTAM manager. 9/15/15 – New Bedford, MA – Matt joined a panel of speakers at a FAASTeam seminar held at New Bedford Regional Airport. Matt spoke about the Taxiway Alpha reconstruction project and the current status of the airport. Additionally, Matt congratulated all of the New Bedford based pilots in attendance as during the extended VIP TFR over Martha’s Vineyard no EWB pilots committed deviations! The seminar also covered the first preflight inspection after an annual inspection, aircraft owner responsibilities when it comes to maintenance and what is really included in an annual inspection. 8/15/15 – United Kingdom – The September issue of Flyer magazine had a great write up of 5 United Kingdom based pilots who visit the United States each year, rent airplanes and fly around exploring the US. During the group’s May 2015 visit the 5 pilots stopped by EWB to visit Matt for a tour of the airport and control tower. One of the pilot’s David Chambers put together the great write up combined with some pictures from another of the pilots (Philip Green), for a great multi-page spread sharing the story of their 2015 adventure! Give it a read and look for a quick mention of Matt towards the end of the piece: Flyer Sep 2015 – New England Feature. 6/25/15 – New Bedford, MA – Matt joined a group of other flight instructors for an FAA Safety Team seminar, CFI Forum titled Managing Student Success. The seminar held at the Bridgewater State University Aviation Training Center, featured a great deal of open discussion about how students learn and how instructors can tailor their instruction to each individual student. 5/24/15 – Boston, MA – A Boston Globe/boston.com story, titled “What is it like to live in Mansfield?”, highlighted life in the small, thriving town of Mansfield, MA. Mansfield is a place where a lot happens, rich with history and enterprise. One of the pictures included in the story highlighted the Mansfield Municipal Airport (1B9), pictured was our own writer Jim Quinn, pulling his Piper Archer out of his hangar, check out the story & Jim’s picture HERE. 5/21/15 – New Bedford, MA – Matt provided brief remarks at the FAASafety Team seminar held at the Bridgewater State University Aviation Training Center. Matt’s remarks updated local pilots on the upcoming airport construction project at EWB, the reconstruction of Taxiway Alpha. Additionally, Matt introduced the “Fly the Bay State Challenge” program aimed to encourage pilots to get up and go fly! 5/16/15 – New Bedford, MA – In support of growing the pilot population locally and encouraging support for the New Bedford Regional Airport, Matt volunteered to support this Atlantic Aviator’s/EAA Young Eagles event. The Young Eagles event, open to kids ages 8-17, was a great way for children to experience aviation for the first time! The event was a great success, allowing about 130 children the opportunity to fly! 5/12/15 – Boston, MA – Representing New Bedford Regional Airport, Matt joined other airport managers, engineers and other aviation officials for the Massachusetts Airport Management Association (MAMA) “On The Hill Day” at the Massachusetts State House. The aim of the event was to educate legislators and state officials on the current trends in aviation and the needs of the vibrant aviation industry in the Commonwealth. 5/6/15 – New Bedford, MA – As a member of the planning committee for the event, Matt helped to represent the New Bedford Regional Airport at “An Evening at the Airport.” The networking event, held at the airport in cooperation with Destination New Bedford and Cape Air Airlines, highlighted the recent MassDOT Economic Impact Study Update findings and upcoming developments at the airport as well as show casing the year-round service available on Cape Air from New Bedford to the islands. 4/11/15 – New Bedford, MA – A large group of Boy Scouts from the Old Colony Council area earned their aviation merit badges by completing an airport tour and aircraft preflight inspection today at the New Bedford Regional Airport. Matt volunteered as a tour guide/flight instructor to speak to the Scouts on a number of aviation related topics. Mixing airport management and flight instructor experiences together, Matt provided insight for the Scouts to help them develop their own aeronautical knowledge-base. 3/28/15 – Nashua, NH – Matt spoke to Aviation Management/Air Traffic Control students in the large classroom in the Tamposi Aviation Center on the campus of Daniel Webster College at the Nashua Airport from 10am to 11am. The lecture was on the synergy of aviation safety and aviation marketing. This was an extra credit opportunity for the students of the online Aviation Marketing (AM-325) course at Daniel Webster College in the form of an in-person lecture. 3/18/15– Mansfield, MA – The first quarterly meeting of the Massachusetts Airport Management Association during 2015 resulted in a packed conference room at 1B9. Topics (in addition to normal MAMA business) included an FAA update, a presentation on social media for airports during projects, a MassDOT update with an emphasis on the recent Massachusetts Statewide Economic Impact Study Update and Matt’s presentation on the Digital NOTAM Manager. For more info visit MAMA’s most recent update: HERE. 1/27/15 – New Bedford, MA – Today we welcome the third of our three debuting writers on ReviewBeforeFlight this month, Jim Quinn, an aircraft owner and flight instructor! Jim and I have teamed up to teach 11 “Learn to Fly” Private Pilot Ground School courses since 2009. His first post is on flying at a non-towered airport, check out, what this highly experienced instructor pilot had to say on the topic: The Considerate Pilot: Flying at Non-Towered Airports. 1/25/15 – New Bedford, MA – The Standard Times newspaper featured a large leading image of the approach lights for Runway 5 at the New Bedford Regional Airport today. The approach lights, of course, extend out into a massive wetland resource area. 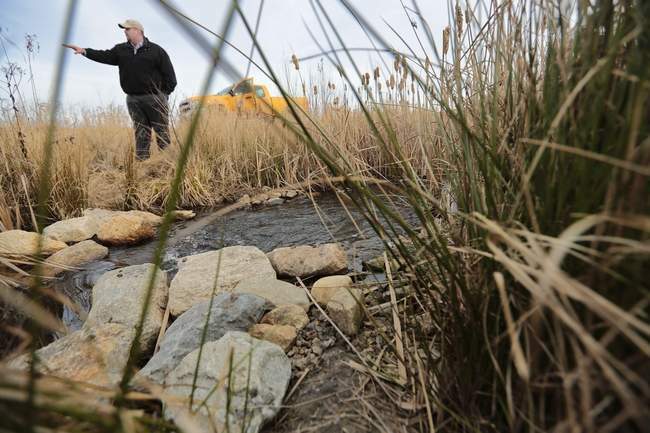 The story accompanying the image was about the New Bedford Regional Airport’s efforts in environmental excellence. Our own, Matt Elia was quoted extensively throughout the piece, you can read the full article on the Standard Times website. 1/9/15 – Today a friend of ReviewBeforeFlight, Sean Collins the AOPA Eastern Regional Manager shared his thoughts on the value of advocacy when it comes to the success of general aviation in the future. Sean’s writing is featured on the regional AOPA page, but this blog post is also available here on RBF, check it out: The Benefits of Advocacy for Aviation! 1/8/15 – Today we welcome our newest (and the first of three debuting this month) writer here at ReviewBeforeFlight, Tom Nery. Tom is an aircraft owner and the original PilotGEEK, check out his first RBF post: The Myths of Buying & Owning an Aircraft! 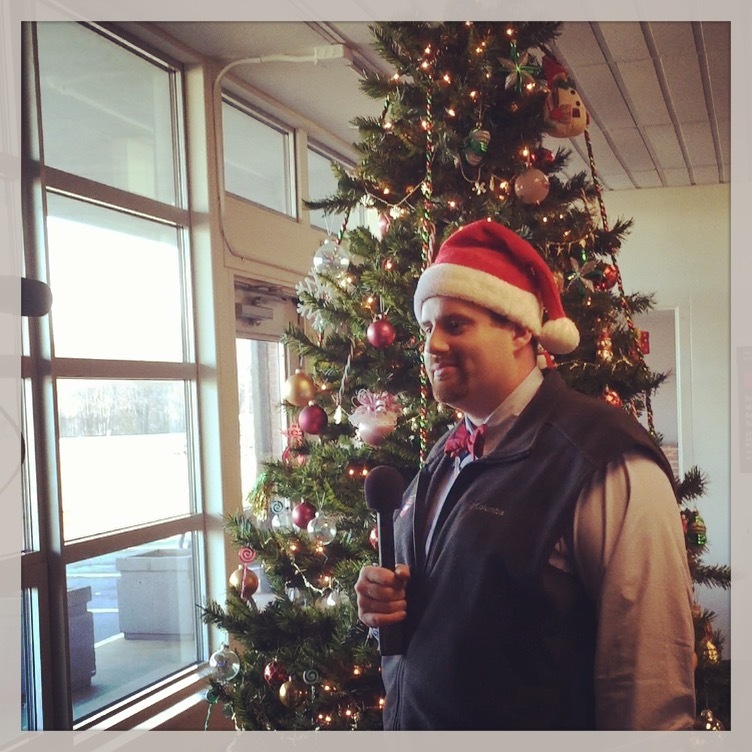 12/24/14 – New Bedford, MA – With Santa Tracking in full swing Matt joined WJAR Providence/New Bedford Channel 10 for an update on how the New Bedford Regional Airport prepared for Santa this year and what his current location was… At 1:15pm Matt joined WBSM radio to give another update on Santa’s location and to explain where local children could get updates on Santa’s location! 12/15/14 – Matt hosted the Christmas Special for New Bedford Cable Access Television, called “Santa Claus is Coming to EWB”! The show will air throughout these weeks leading up to the Christmas holiday. From a rocking chair alongside the airport Christmas Tree, Matt explained how EWB gets ready for Santa’s annual visit! Saying goodbye during the episode closing, wishing all viewers a Happy Holidays & Merry Christmas from everyone at EWB! 12/6/14 – Matt & Jim Quinn teamed up to provide a make-up session for the Fall 2014, KING Aviation-Mansfield “Learn to Fly” course members. Discussion was based solely on the topics that students wanted to learn more about, anything previously covered during the course. 11/29/14 – Matt & Jim Quinn teamed up to teach the final session of the Fall 2014, KING Aviation-Mansfield “Learn to Fly” ground school. The course topic was Cross Country Flight Planning. This marks the completion of the 11th course Matt & Jim have taught together at KING since 2009. 11/22/14 – New Bedford, MA – Matt welcomed the the Daniel Webster College (DWC), Student Air Traffic Controller’s Association (SATCA) to the New Bedford Regional Airport. SATCA is the only aviation club at DWC and is open to all students, but focuses primarily on air traffic control & aviation management major-related topics. Hosting the group at New Bedford Regional Airport (EWB), Matt spoke to the students about current and emerging aviation industry trends, airfield management concepts and tips for post-college success. Following the talk in the airport conference room, Matt provided an airport tour before the group visited the Airport Grille for lunch to warp up the visit. 11/15/14 – Mansfield, MA – RBF writer Billy Smith joined Matt Elia at the KING Aviation-Mansfield “Learn to Fly” Private Pilot Ground School as a guest speaker to teach Weather Theory while working on further developing his own instructional abilities. He brought a great confidence on the topic, creative approach to teaching and a bunch of humorous examples to the table, to help reenforce the students’ understand of the topic. 11/3/14 – Bridgewater, MA – Matt accepted an invitation to visit with the Bridgewater State University Flight Team at their first meeting following the 2014 Region VII SAFECON. Even though their overall score wasn’t great, they were eager to hear from Matt about how they could improve in the future. Matt provided congratulations on their winning the first-ever Team Sportsmanship Award. Moreover, Matt provided feedback on the team performance and what they can do in the future to continue the improvements they have been making over the past few years. 10/29/14 – Sturbridge, MA – Mr. Elia spoke as part of a panel of speakers discussing “Points of Interest” during a breakout session at the 41st annual Massachusetts Airport Management Association conference. During the session, Matt focused on the use of the new digital NOTAM (Notice to Airmen) management system. Using a live demo of the New Bedford Regional Airport interface, Matt introduced the audience to the variety of advantages that the new technology offers to airports and pilots. 10/24-27/14 – Shirley, NY – Matt served as the Associate Chief Judge of the National Intercollegiate Flying Association (NIFA) Region VII SAFECON (flight competition). Matt has been volunteering as a NIFA judge since graduating in 2009, and this was Matt’s first year as a member of the Regional Council for Region VII. On Monday, October 27th Matt presented the inaugural ReviewBeforeFlight.com Team Sportsmanship Award to the Bridgewater State University Flight Team. 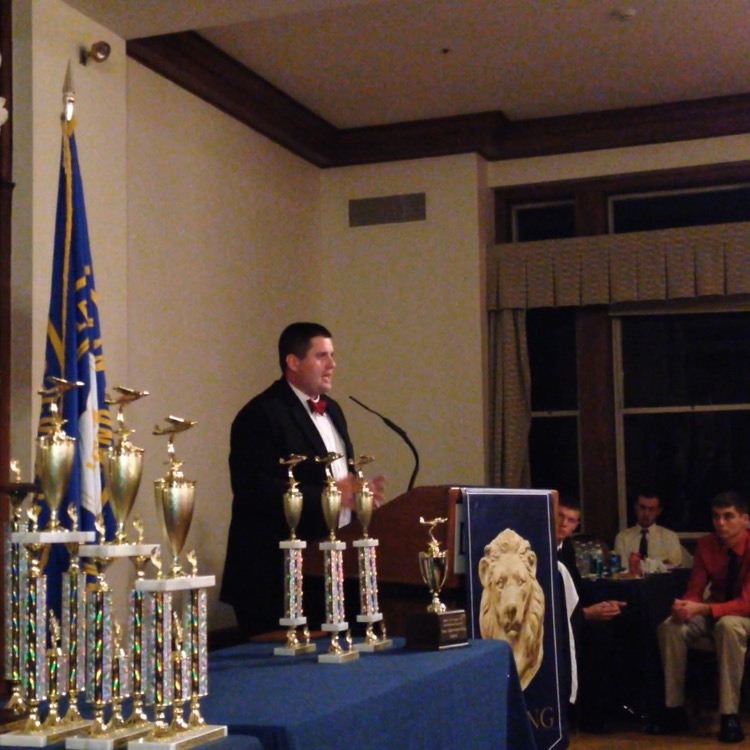 Matt speaking at the SAFECON Awards Ceremony before presenting the ReviewBeforeFlight Team Sportsmanship Award (trophy pictured furthest to the right). 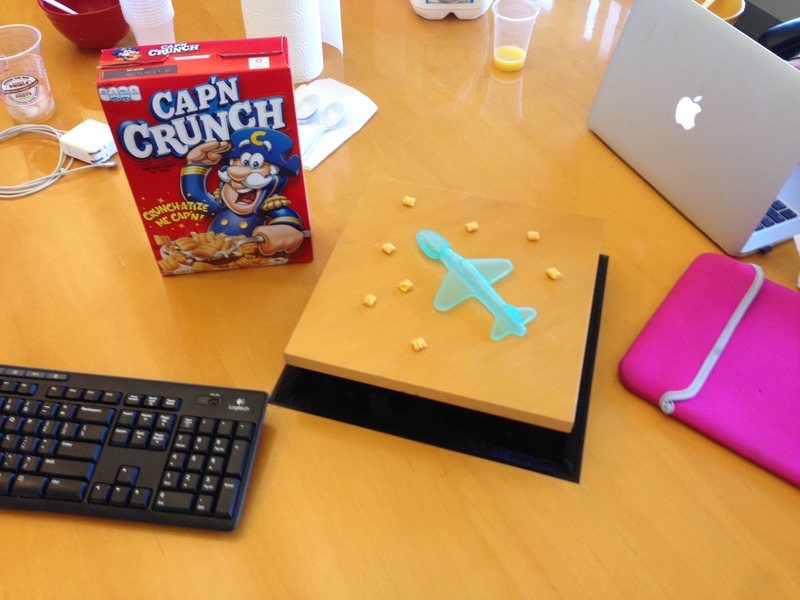 8 of 8 Cap’n Crunch puffs = overcast sky cover! 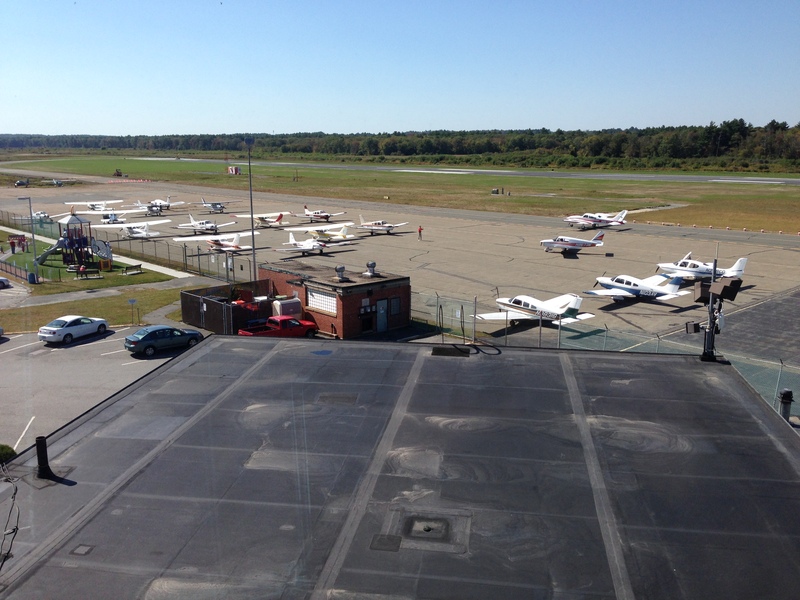 9/27/14 – New Bedford, MA – The 99’s 2014 Poker Run employed the New Bedford Regional Airport (EWB) as the finish line for their annual event. The turn out was excellent, with 25 planes landing at EWB on Saturday for the event. Our own editor, Matt, was on hand volunteering as a marshall, helping to park arriving aircraft. The restaurant ramp was filled to capacity, truly a great sight to see! By early afternoon the ramp was filling up quickly! Another 10 aircraft (or so) arrived after the picture, filling in the opening, plus filling back to the right, towards the restricted ramp area for Cape Air! By the time all the planes had arrived the ramp was completely full! The weather was perfect for the event, and it was great to see so much activity! 9/25/14 – Long Island, NY – ReviewBeforeFlight will be sponsoring an all-new Team Sportsmanship Award, to be presented at the 2014 National Intercollegiate Flying Association (NIFA) Region VII competition this October. This will be the first sponsored award for NIFA Region VII, more information coming next week, stay tuned! Sneak peak of the new (1st generation) trophy coming soon too! 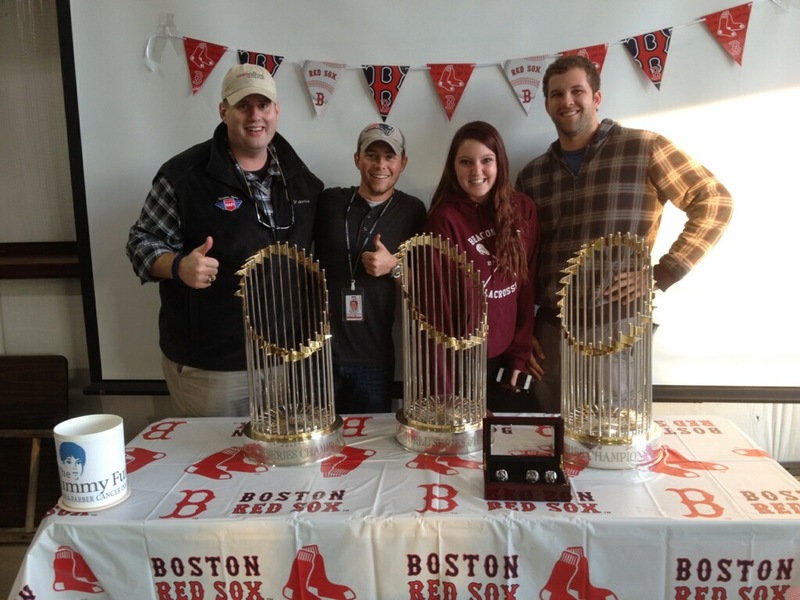 L to R: Matt, Mitch, Jamie & Ted with the trophies and rings! 9/13/14 – Long Island, NY – ReviewBeforeFlight’s Matthew Elia has been selected to serve as the Associate Chief Judge at the 2014 National Intercollegiate Flying Association (NIFA) Region VII competition next month at the Brookhaven Airport (KHWV) on Long Island. 9/3/14 – New Bedford, MA – Matt joined the Bridgewater State University Aviation staff and Steve Brown from the Boston FAA FSDO to update the CFI Forum audience on the Runway 5/23 project. Matt’s brief remarks were aimed to prepare local pilots for what they would face as the project draws to a close over the coming weeks. Mr. Elia focused on saying thank you to everyone for putting up with the project and promised that the new runway would be open soon! 9/1/14 – Marshfield, MA – Matthew Elia will be presenting at the 2014 Massachusetts Airport Management Association (MAMA) conference. Matt will be giving his presentation on aviation apps for airports during one of the breakout sessions during the event! The annual conference will be Tuesday, October 28 & Wednesday, October 29th at The Publick House Historic Inn, in Sturbridge MA.